We are very pleased that many of our customers for extruded sealing profiles have expressed an interest in the range of accessories for commercial vehicles available within the EMKA group – and so we have taken the step of introducing these products for the UK market. 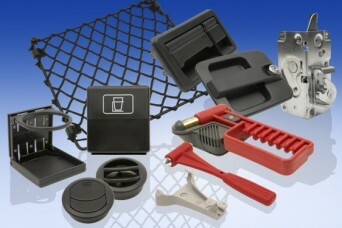 Typically they include emergency safety hammers, door handles, luggage compartment locks and latches, stowage nets, cup holders, air vents, grab handles, door locks, slam locks, toggles and strike plates and many many more items required for production of coaches, trucks, caravans, mobile homes, railway rolling stock, light rail, horse boxes etc. For further information or RFQ please contact us and ask for Pete or Rob. 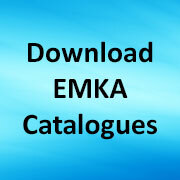 Share the post "NEW – Commercial Vehicle Components"
Previous post: It’s not just “any old hinge” – it’s an EMKA hinge!